The tour is available daily from March 14th to October 31st. Children 10 years or older are welcome. Group tours hold up to 8 people. If you book a private tour, the tour is closed to other participants. Groups of 8 people are discounted to 145€ per person. Since the car holds 8 people, groups of 7 people are eligible to bring one more person for free. The tour then becomes private. The final pickup time will be confirmed to you the day before your trip. The total distance is 16 km (10 miles). Clients should also mind their physical condition, as the trip is not recommended for those with no previous hiking experience. We carry on the trip during most (safe) weather and rain conditions. Please note your passport is required for the tour. If you ask the local Czechs which site you simply can’t miss, they point you to the Pravcicka Gate and a dinghy ride through the gorges of the Kamenice (Kamnitz) River. On this day trip, you get the local special with both a hike through the country’s prized national park and a peaceful water trip. Our local guide picks you up in the morning at your accommodation to start our day. 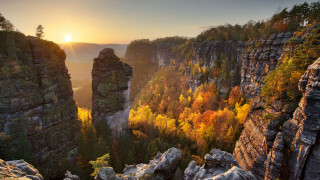 Our hikes take place in the most precious part of the Bohemian Switzerland National Park. One the way to the gate we trek through sandstone formations, steep rock walls, and towering trees. You’ll know the gate when you see it! 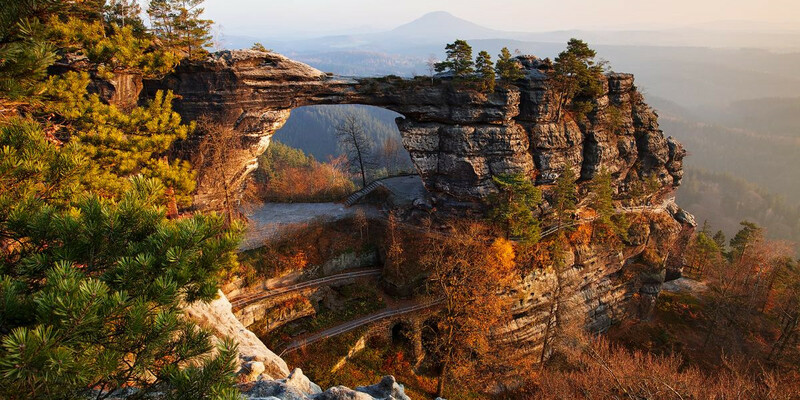 The largest natural arch in Europe, this rocky formation juts out over the beautiful landscape for an unbelievable spectacle. Once we catch our breath (from both the hike and the view) we continue through the park’s sandstone towers for an outstanding 2-hour hike. If we keep quiet as we stroll through the oak and beech trees, we may spot a falcon flying high. Next stop is important - lunch! A main course and drink are included in the tour, as we stop in an authentic Czech restaurant. How about beef tenderloin with dumplings or wild boar goulash? Don’t forget a beer from a local mini-brewery - that's a must! After the meal, we descend into a small, vibrantly green canyon full of lichen and moss. 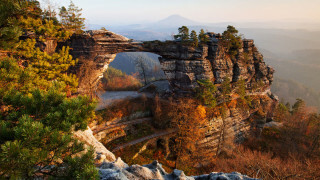 With the fresh air and the natural wonders around you, it’s almost like walking on a different planet. Next, we hop in a dinghy to glide down the calm waters of the Kamenice River. 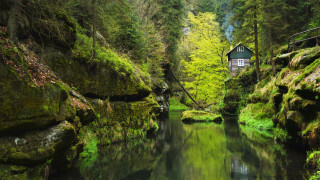 As the ferryman uses poles to navigate the boat, we take a dreamlike travel through dense forests, maybe admiring a waterfall on the way. 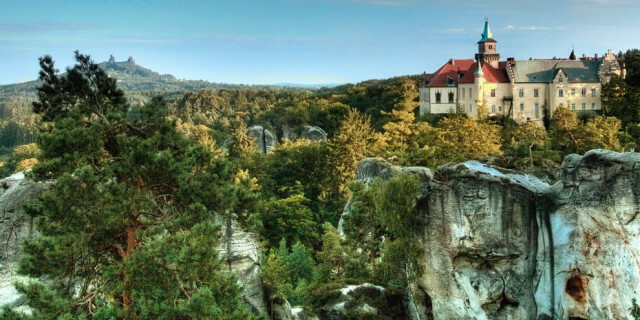 When we drop you off at your hotel around 8 p.m., your senses are full of the sights, sounds, and smells of Czech nature. After this hike of a lifetime, you’ll be glad you listened to the locals.